Imagine Africa: Skip a Meal, Feed a Child for a Month! Skip a Meal, Feed a Child for a Month! For the price of a meal at a restaurant, you can give a child in Africa food for an entire month! $10 pays for 30 days of food in Malawi. We are able to do this because we buy our food in bulk and have almost no overhead (No one in the USA gets paid. Only one person in Malawi does and that is $50 a month). Mercy League Malawi runs a feeding center in Monkey Bay, Malawi. The feeding center provides one meal a day for many orphans in the villages of Chizula and Namakoma. We have been able to feed up to 90 kids in a day! Our only requirement for kids to remain in the feeding center is to go to school (this gives the family or caretakers incentive to keep kids in school and not send them to work or look for food). We hope to expand very soon as more donations come in! We/they are not asking much. We'd love for sponsors to give $50 a month or even $100 (if you can, please do! ), but we understand that times are hard. 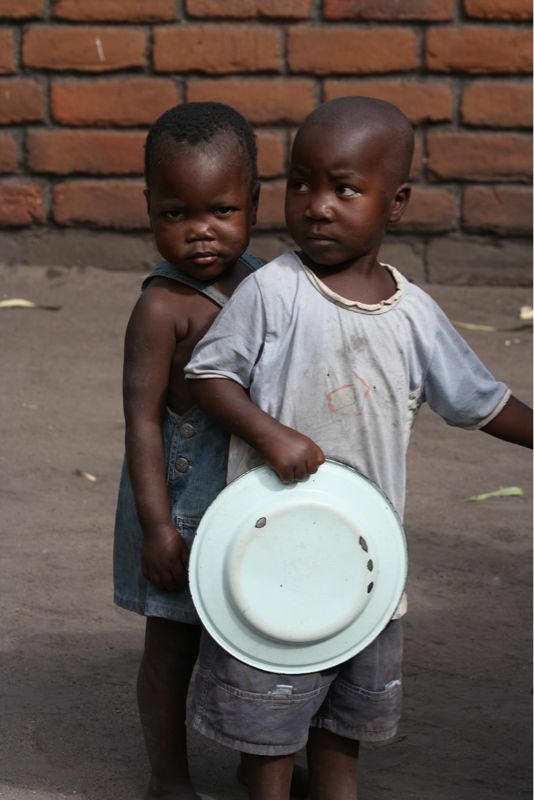 We are asking that you give up one meal a month and send in what you would have spent on that meal to feed these kids. Of course, you don't have to skip a meal to contribute, but if you do, please, please leave a comment about your experience! This can even be something that you do as a family or church/social group. You can talk about the sacrifice you are making and what it means for someone on the other side of the world. For this small sacrifice, you can know that a child will go to sleep every night for the next 30 days with something in their belly. A burden will be lifted off of whoever is caring for them, so they can feed their families. It's a win, win! Malawi is one of the most impoverished nations in the world. The average person earns only $2 a day. In Monkey Bay, a rural area, it is even lower. Malawi is also known as "The Orphan Nation" as there are over a million orphans in this nation of approximately 14 million people. Times are hard everywhere, but especially in Malawi, where the latest gas prices are at an estimated $20 a gallon! As we all know, that when gas prices go up in America, food prices go up as well. This is happening in Malawi and fewer people are able to feed their own children, let alone the orphans that they may be taking care of. That's where we come in (and hopefully you)! 1) Just hit that button over there on the top right of this page that says, "Donate!" 3) Either (a) log into paypal, OR (b) click "continue" on the left to donate via credit or debit card. You can choose a monthly amount from the drop down menu in the "Subscription" box and hit the button that says, "Subscribe". This will give you the opportunity to set up a monthly subscription of any monthly amount for as long as you'd like. No hassles! It will automatically donate your desired amount each month. You can stop at any time! All donations are completely tax deductible through our parent organization Mercy League International.